The UK’s granting of political asylum to “Balochistan Liberation Army” (BLA) leader Hyrbyair Marri and its hosting of this fugitive means that Britain has blood on its hands for the latest terrorist attack that he masterminded against the Chinese consulate in Karachi, but while Islamabad might seek his extradition, there’s little that it can do to ensure London’s compliance unless it convinces Beijing to discretely support it. The Pakistani authorities have officially charged “Balochistan Liberation Army” (BLA) leader Hyrbyair Marri and 12 others for last week’s terrorist attack against the Chinese consulate in Karachi, which the group’s fugitive UK-based leader is suspected of masterminding. Marri received political asylum from the island nation in 2011 and has been living there since then, meaning that Britain has blood on its hands for the crime that he’s accused of cooking up while under their protection. This doesn’t necessarily mean that the British government had a role in carrying it out, but just that they’re nevertheless culpable for at the very least indirectly facilitating it by granting him a safe haven from which to organize it. Understandably, Islamabad might seek his extradition, but there’s little that it can do to ensure London’s compliance. The UK officially regards the terrorist mastermind as being a “political refugee”, and it’ll probably stick to its guns by refusing to extradite him on that basis. Even though that would expose the West’s double standards towards terrorism, hard power is ultimately more important for its leaders than soft power, and London probably believes that it has more to gain by keeping him on its territory than sending him back home to face justice in Pakistan. In fact, it could be argued that the UK might believe that its non-compliance with Pakistan’s possibly forthcoming request could even improve some of its soft power in regards to strengthening its post-Brexit ties with the US and India, both of which also support the BLA and other anti-Pakistani terrorist groups in their own way. Speaking of Brexit, it would be too scandalous in terms of the country’s already polarized domestic politics for its leaders to risk appearing as though they’re “accommodating” Pakistan, especially given the existing right-wing fury at the government’s apparent sell-out to Brussels over last weekend’s deal. 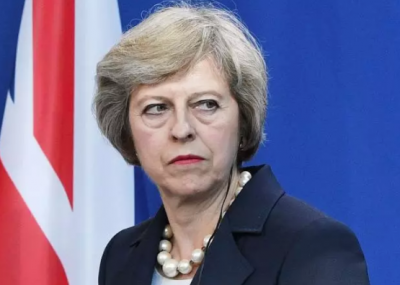 If anything, it would make Prime Minister May “look strong” and serve as a “convenient distraction” if her government loudly refuses to comply with any extradition request that Islamabad might make, which could show her constituents and even her Tory rivals that she won’t allow developing nations like Pakistan to “boss” her country around by “taking advantage” of its “perceived weakness” in the run-up to Brexit. One way or another, the British authorities will probably find a way to “justify” their refusal, all the while trying to reap political points at home. The very high likelihood of this happening means that Pakistan must consider how to creatively respond to the UK’s insistence on hosting Marri and other BLA terrorists, ergo the suggestion to commence a sustained information campaign aimed at raising awareness about this all throughout the island nation and the world at large. The patriotic Overseas Pakistanis residing in the UK could greatly aid these efforts by organizing peaceful protests against the government’s hypocritical and immoral policy, as well as distributing leaflets and buying advertisements on buses and in other public places to inform as many people as possible about the UK’s indirect support of BLA terrorism. Concurrent with this, Islamabad could also raise the issue at the UN, as well as consistently make mention of the UK’s hosting of Marri and other terrorists whenever its media discusses the BLA. Behind the scenes, Pakistani security officials can hold talks with their Chinese counterparts about the threat that UK-hosted BLA terrorists could pose to CPEC, encouraging Beijing to work through its own channels to pressure London into complying with Islamabad’s possibly extradition request. It can’t be taken for granted that this plan will succeed because China usually shirks away from doing anything that even remotely suggests that it’s “interfering” with its partners’ affairs, but the Marri case might be a notable exception because this terrorist masterminded an attack against its consulate and put its citizens’ lives at risk. If there ever was a reason for China to discretely get involved in a bilateral disagreement between two countries, then this is certainly it, and Beijing’s low-key involvement might actually get London to reconsider its refusal to extradite Marri to Islamabad.